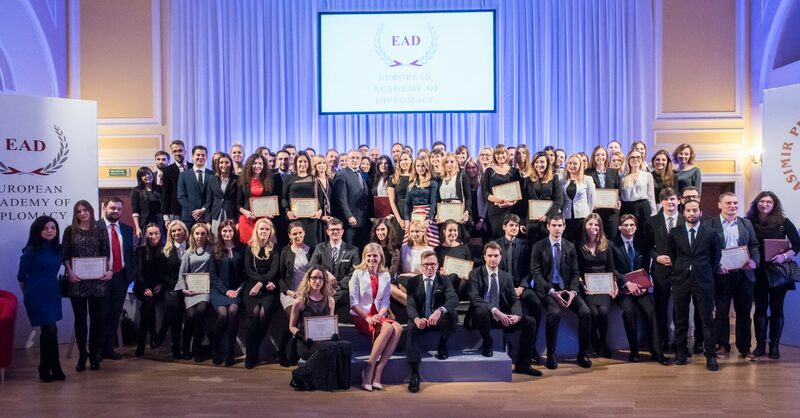 Inauguration Ceremony of the 15th edition of the Academy of Young Diplomats on the 2nd of December 2018! 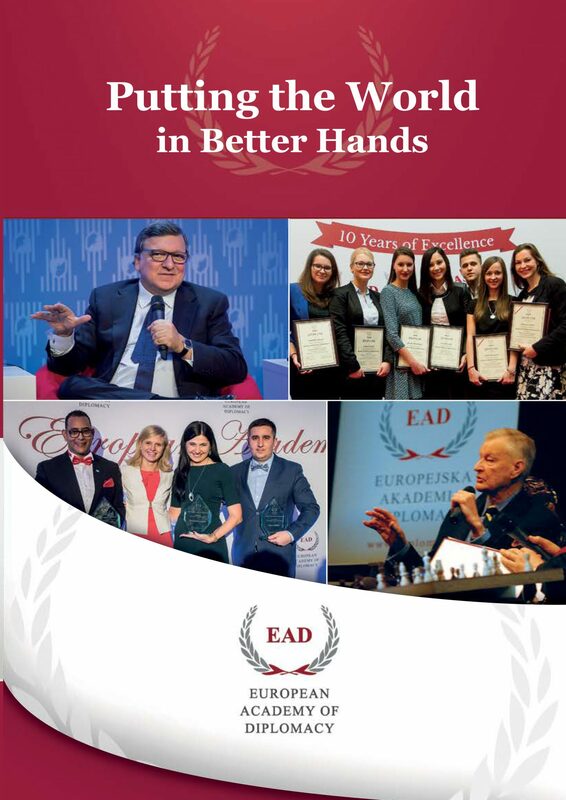 On 2 December 2018, the European Academy of Diplomacy will hold the official ceremony of the Inauguration and Graduation of the 14th and 15th edition of the Academy of Young Diplomats. The event will start with the commencement speech by Ms Jadwiga Emilewicz, Minister of Entrepreneurship and Technology of the Republic of Poland. The Ceremony will also be an occasion for the presentation of the Patron of the 15th edition – Prof. Władysław Bartoszewski. The Inauguration Ceremony will be followed by presentation of the Scholarships for the 15th Edition of the Academy of Young Diplomats and the Alumni of the Year Award. We are happy to have invited more than 300 students from more than 50 countries! The program of the ceremony is available HERE.